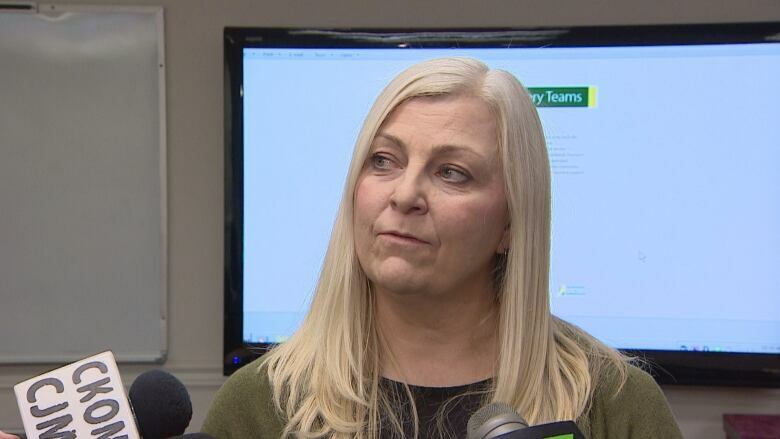 The province is setting up Community Recovery Teams (CRTs) made up of six health-care professionals to work with people who have severe mental illnesses. The $4.2 million project will be set up in eight communities across Saskatchewan — Saskatoon, Regina, Prince Albert, North Battleford, Swift Current, Moose Jaw, Yorkton and Weyburn. Each team will consist of a mental health nurse, social worker, clinical counsellor, occupational therapist, addiction counsellor and assessor co-ordinator. 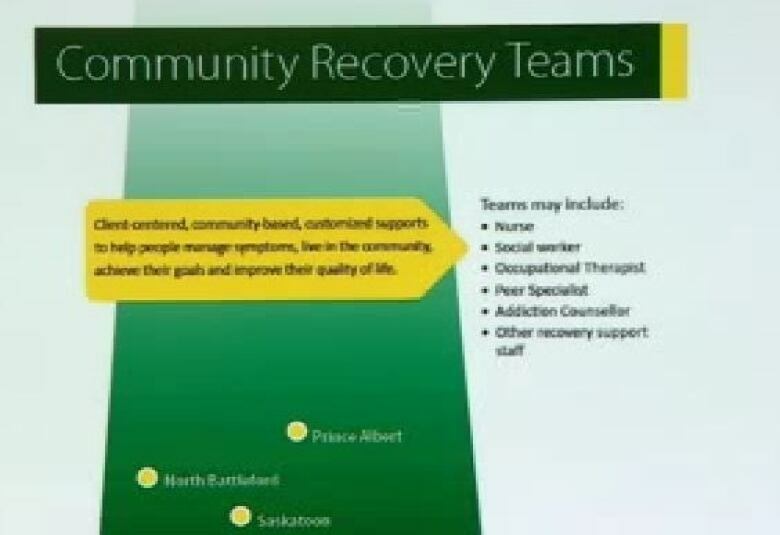 "Our objective is to provide services for people with serious and persistent mental illness who are difficult to serve," said Michelle Robson, manager of mental health and addiction services, and community adult recovery services. For example, it could help patients who are having trouble managing their medication, having family issues or living in poverty. Robson, who is overseeing the Saskatoon team, said people with serious and persistent mental illness live 25 years less than the average person. "And probably the No. 1 risk factor for them is poverty." The CRTs will use a holistic and team-based approach to help clients manage symptoms, avoid being sent to the hospital and to have a better quality of life. "We know that people with chronic disease are better served in our community rather than acute care," said Robson. "And that is what recovery is really about. When people get stabilized in their own environment and their own community, they stay well longer." Currently case managers in Saskatoon look after 36-40 people. An estimated 20 per cent of those people fall into the difficult to serve category. Having CRTs look after them will mean better care for others suffering from mental illness. "Moving in to do a more in-depth, intensive case management for those clients, it will free up the current case managers to be able to do more work with their less intense and less complex cases," Robson said. Funding comes from the Canada-Saskatchewan Bilateral Funding Agreement. The federal government is providing Saskatchewan with about $350 million over 10 years for targeted investments in home and community care and mental health and addiction services.